Our Growth Edge Coaches come from many different places and backgrounds, and work with individuals in all sorts of organizations. Nearly all of them coach in person and virtually (over phone or video conference). We hope that you can get to know them and their styles by the bios below, but please feel free to be in touch with us for more information. Aenslee Tanner is a certified leadership coach passionate about supporting individuals to unleash their potential and become more conscious, high-performing leaders. Her own career has spanned numerous countries across three continents – from engineering to public policy to management consulting at firms including EY and PwC – before launching her own coaching business in 2014. Aenslee has been featured in several media publications including Coaching World magazine and Huffington Post and her clients include World Cup athletes, start-up and corporate executives, as well as ambitious leaders all around the globe. 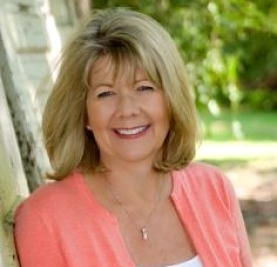 Anne is an executive coach and leadership development consultant based in Canberra Australia. She works with senior executives and managers in private, public and non-government organisations. Grounded in the practical reality of her clients’ complex and fast changing worlds, and underpinned by more than 25 years’ experience supporting people, Anne’s approach provides a catalyst for personal and professional growth. 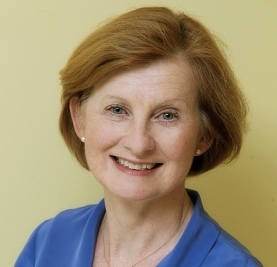 Anne is a deep listener who works alongside her clients as a trusted learning partner, exploring current understanding with compassionate curiosity, inviting new perspectives, encouraging them to engage with personal, professional and organisational challenges at their “growth edge” thereby creating new and real possibilities for change in thinking, being and doing. Anne is passionate about learning and is constantly seeking new ways of furthering her own development and applying that learning for the benefit of her clients. Her coaching methodology draws on adult stage development and complexity theory, affective neuroscience, adaptive leadership, appreciative inquiry and action learning. She uses the Growth Edge Interview, The Leadership Circle 360 , The Leadership Culture Survey, the Immunity to Change process, and the World Institute of Action Learning model. Anne began her working life as a Physiotherapist. She practiced in Public hospitals, Community Health, Community Services and as a senior physiotherapist in the disability sector; supporting children and families, mentoring graduates and developing and facilitating community awareness programs and workshops. 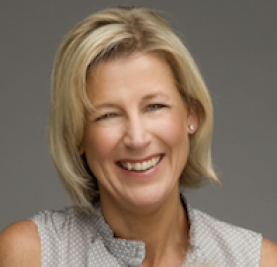 As joint owner of a specialist consultancy firm Anne was able to develop her interest in coaching and leadership and played an active role in the design and development of innovative leadership, resilience, performance management and coaching programs. Anne has successfully coached many Senior Executives and Executives in the Australian Public Service in recent years across a range of portfolios including the Department of the Environment, Treasury, the Australian National Audit Office, Department of Immigration and Border Force, the Great Barrier Reef Marine Park Authority and the Australian Institute of Marine Science. particularly in Leadership Development and Resilience programmes. Many of these assignments have included 360 Feedback debriefs. She has worked in the private sector coaching senior leaders in accounting and business advisory and property development services and in the ACT Government with senior leaders in Disability Services. In her spare time Anne enjoys walks by the lake, reading, movies, ‘epic’ family dinners and most of all adventures with her two small and wondrous grand daughters. “Out of the chaos of competing priorities, more mindful of their inner selves and their outward opportunities, Anne seamlessly helps people define and achieve their goals. She effortlessly helps you discover forward pathways, creating a strengths based virtuous circle – casting aside downward spirals of uncertainty and procrastination. Anne travels this journey with you, engendering the confidence to lead, sometimes from the front – sometimes from behind. Completing the Growth Edge Coaching Programme has had a profound impact on me personally and professionally. The discovery of Adult Development theory and exploration of the complexity of my own and others meaning making in a compassionate, spacious and gently curious way resonates deeply with me, and supports my goal to bring my ‘biggest self’ to every coaching relationship. In this paper I describe how these ideas inform my coaching, and give an example of how I have applied them with a client. The idea that our meaning making changes and develops over time and that there is a pattern to this development (described by many adult development theories) is fundamental to my coaching approach. Understanding how this complex pattern unfolds; the characteristics, benefits, challenges, limits and opportunities provided by particular stages and transitions, provides me with a spacious and fluid framework to listen, question, understand, connect and support my client and to reflect on my own practice. It is an optimistic and hopeful approach as it demonstrates the potential in us all to grow and adapt; affirming as it acknowledges that reaching each succeeding stage is a monumental achievement and compassionate in that there is no ‘right’ or ‘wrong’ place to be on the journey. The developmental approach influences the tools, frameworks, processes and assessments I use as I gravitate to those which will support the development of my client e.g. Kegan’s Immunity to Change mapping, The Leadership Circle 360 profile and Gervase Bushe’s Clear Leadership and application of Multiple Perspectives. As I hear the client’s story I listen for hints of how they are currently making meaning, in particular I try to “Look at the edges of the issue and not the heart of it …At the edges things are more vulnerable and likely to shift” Jennifer Garvey Berger in her blog, Aug 3rd 2014. Much of my experience has been supporting clients who work at the Executive and Senior Executive levels in the Public Sector and the one on one coaching is typically part of Leadership Development, Resilience and Change programmes. assumptions could I be subject to that hold me back? i.e. When and how does my ‘smaller’ self show up? How does the context and the system I am in influence me? What do I need and want to do differently to grow into the person I want to be? How do I bridge the gap? I explain that sometimes the change required is technical e.g. learning time management tools or attending a workshop on presentation skills and sometimes the change requires us to look at and adapt our beliefs, values and understanding of ourselves and others. I give examples of some of the ways that development manifests e.g. we become able to reflect on our own and others thinking and perspectives, we reduce our reliance on others opinions and guidance and trust our own judgement or inner compass more, we become better able to deal with conflict and challenging conversations and to objectively put forward our own position and are less reactive when our position is challenged. ST is an extremely time poor senior executive in a national reporting body which was undergoing a sweeping change in the Executive. This led to high levels of anxiety and uncertainty as staff jostled for their positions in the ‘new order’ and where 14 hour working days was the minimum expected norm at her level. She was exhausted, highly motivated, extremely competent, strategic and uniformly respected by her superiors, peers and reports. Over the six months we worked together, she articulated her core values, explored several of her challenges ranging from how to achieve “more space and balance” in her life, her career options, a difficult working relationship with her manager and above all how she could bring more of her ‘Big self’ to work to become the considered, engaged and competent leader she aspired to be. She loosened many tightly held assumptions e.g. how she equated slowing down with ‘stagnating’ and feared that if she did slow down she would be seen as ‘disengaging’ and if that happened she would get ‘marginalised’; that competence equalled calm and objectivity. Incompetence equalled being emotive, unclear and unstructured. ‘lose it’, ‘tearing up’. She said the worst thing about this was her fear of being seen as ‘irrational ‘- a ‘no-no’ in this organisation where deep, impartial and critical analysis was of national consequence and key to its reputation, relevance and existence. She also noticed that this pattern occasionally played out to a lesser extent in meetings with her superiors. She would ‘bite down’ – ‘not saying what she meant’ she realised that she was committed to not generating a reaction in herself or others and to avoiding conflict and was subject to an underlying global assumption that when in a situation of conflict, she would always lose control (which meant being totally incompetent and at worst equalled ‘losing her job’). It prevented her from voicing her opinions in some situations and led her at times to permission unacceptable behaviour. As she became more aware of this assumption at play and started to challenge its validity it had less of a ‘hold’ on her. Starting daily mindfulness practices and using John Sautelle’s SBNOR model Sensation, Breathe, Name, Observer Respond, enabled her to become less reactive. Processes like John Grinder’s Multiple Perspectives (i.e. mentally moving through Self, Observer, Other perspectives) helped her see her experience differently and in a larger context and Gervase Bushe’s Experience Cube was a framework that enabled her to articulate and reflect on her own experience objectively particularly in situations she found challenging. In these ways she was able to create more space in her life, challenge limiting assumptions and create a new metaphor for her self – her life is a jet stream and she is the pilot. Recently I read Steve Carell describing his ‘best of’ experience as an actor – “it’s interesting to think of what in terms of your brain, and when you find yourself up against the limits of what you perceive as your frame of reference, or your ability or the things that are established to yourself – with the right director that can expand out because the director is giving you licence to go to places that you haven’t established for yourself”. (The Independent). As a coach my aim is to support clients find their own “inner director”, write their own script and choose their own adventure. Whether I am explicit in describing Kegan’s stages of adult development or not – questions and an approach that take the client to their growth edge inevitably lead to the gift of new insights and a different perspective and with that, change. Her clients deal daily with the complexities inherent in industries and organizations and have a deep desire to lead with wisdom, courage and equanimity. They are committed to identifying what is truly important and willing to dedicate the energy and effort it takes to align their decisions and behaviors with what matters. Often, the stakes are high because those decisions and behaviors could make-or-break their careers, the careers of others or the future of their organization. Barbara’s work is grounded in a framework that has given her a deeper understanding about humans and “what makes us tick.” This framework provides the lens for her to better see, hear and understand her clients, and informs her hypotheses and the questions she can ask as their coach. The subsequent dialogue helps illuminate where the client may be stuck, where there is possibility for growth, what may be getting in the way of that growth and, ultimately, open the door for transformational learning. As a client working with Barbara, you will begin with a conversation about your current state and the boundaries or edges of what you know and what you have yet to figure out. As you share your story, Barbara will help you notice and give language to the wisdom that lives in your soma, or body, and to clarify what will be different as an outcome of your work together. Perhaps for the first time ever you will realize the gift in feeling deeply heard and seen. You will have the opportunity to try on practices that will help you be more grounded, centered and present and, if you choose, to learn about constructive-development theory and the stages of adult development. You will come to realize you are not alone in the struggles you sometimes face and that you can loosen your grip on always trying to get it right. And though at times it may feel uncomfortable or be quite a stretch, you will likely embrace the learning and experience more patience and peace in the process of growth – both for yourself and those you lead. Barbara has a degree in Psychology and Human Resource Development from North Carolina State University and is the founder and Managing Partner of HunterRockhold, Inc., based in the Research Triangle Park area of North Carolina. She is a Board Certified Coach (BCC), a Professional Certified Coach (PCC), a certified Presence-Based Coach® and a certified Growth Edge Coach. She is also certified in Interaction Associates’ “Facilitating Change” as well as multiple individual and team assessments. Barbara has worked with hundreds of clients across a broad range of industries and functional areas, from start-ups to Fortune 100s. She has held adjunct faculty positions at North Carolina State University’s College of Management in Raleigh, NC and the Center for Creative Leadership (CCL) in Greensboro, NC, where she also served as an executive coach. Her community involvement over the years has included volunteering at The Women’s Center in Raleigh, NC and several board positions, including president, for the Research Triangle Chapter of Association of Talent Development (ATD). 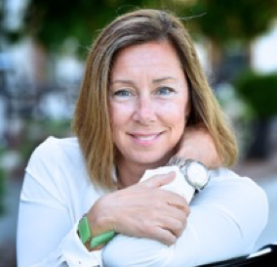 Beth Greenland, PCC, is Principal of Greenland & Associates, a leadership coaching and organizational development consulting practice based in Towson, Maryland. Beth launched her consulting practice early in her career and partnered with the University of Maryland Center for Quality and Productivity in building system-wide performance measurement programs in the US Department of Labor and the City of Baltimore. Beth then worked as an internal consultant for 8 years with DMW, Inc., a Baltimore based land planning and engineering firm, providing leadership development, skills training, and meeting facilitation to all levels of the organization. 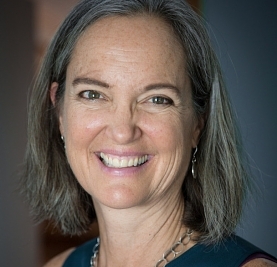 Since 1995, Beth has led Greenland & Associates, providing strategic planning, leadership training, learning culture development and facilitation services to public and private sector organizations, including the InterAmerican Development Bank, Maryland Department of Transportation, Chesapeake Bay Foundation, World Wildlife Fund, Virginia G. Piper Charitable Trust, Kennedy Krieger Hospital, and the American Occupational Therapy Association. Beth has worked with a number of organizations very closely over decades, leading leadership planning session and retreats, supporting leadership transitions, training new generations of leaders, and serving as coach and confidante to CEOs. Beth is committed to building capacity in the organizations she works with and so she regularly works with internal partners to design and deliver training and planning conversations. She values the co-creation of ideas that can only come through collaboration. Beth truly believes that everyone is a teacher and everyone is a learner, and we benefit most when we can share our perspectives and learn from each other. Most recently Beth has led the development of a coaching training program now in use by state child welfare systems across the US. She has co-designed a cohort based emerging leaders program for land development professionals now in its third year, and a similar program for non-profit emerging leaders in Maryland will launch in 2014. She is a cohort co-director at the Georgetown University Leadership Coaching Certification program. Beth holds a Masters Degree in Applied Behavioral Science from Johns Hopkins University and post Masters training in counseling and strategic planning. She completed certification in Leadership Coaching at Georgetown University and certification in Somatic Coaching at the Strozzi Institute. She is pursuing certification in Growth Edge coaching. She is authorized to administer the Myers Briggs Type Indicator and the Learning Circle 360 and Culture surveys. Beth volunteers as an end of life doula at a local hospice and serves on the Board of Companioning the Dying, a non-profit in the Washington DC area. She has two adult children and lives in Towson with her husband. Beth Massiano brings over 25 years experience as an executive coach, organizational change consultant and professional educator. The heart of Beth’s work boils down to helping people expand their perspectives in order to meet the complexities and fast-paced demands of contemporary (professional) life. Her background includes: HR leader in fortune 50 technology firm; lead designer for organizational change in healthcare and manufacturing industries; executive assessor and coach to hundreds of fortune 50 global leaders in leadership development programs. She continues to work with individual leaders, groups, and executive teams in financial, healthcare, and technology firms. Beth is a Professional Certified Coach with the International Coach Federation and received a certificate in Leadership Coaching from Georgetown University. She holds an MS in Instructional and Organizational Design from Syracuse University and is certified in over a dozen psychometric assessment tools focused on leadership and adult development theory. Beth also serves as a final exam assessor in Georgetown University Leadership Coaching Certificate Program. She is co-founder of Courageous Leaders Project, LLC a coaching and consulting firm that serves leaders who aspire to contribute more of their best selves to their work and lives. What makes Beth’s coaching distinctive? How do developmental ideas figure into her thinking (as a way of making my own meaning about coaching)? Beth is an attentive listener and inquiry partner. Her passion is tuning into the way people think as an offering for co-exploration and self-discovery. She supports leaders in developing perspective-taking muscles so they can acknowledge and make decisions from a broader platform of awareness. The spirit of Beth’s coaching is motivated from a place of respect and curiosity. Asking question(s) that invite clients to notice previously unexplored thought habits. This is a core value that Beth brings into the coaching relationship. She acknowledges that growing ones perspective is an internal work that can be both challenging and rewarding, and that is not for everyone. What makes her brand of inquiry particularly valuable is the clients ‘freshness of thinking’ that emerges through intentional exploration. During coaching conversations people are invited to dig underneath as well as push the edges of their current thinking, metaphorically tilling the soil, for new insights to pop. Beth has both seen and experienced how expanded perspective increases clarity, creativity, and choice, creating space for new possibilities to materialize. Landmark moments of insight occur when a client suddenly sees how a particular way of putting things together has reinforced or created self-imposed limitations. Being able to take what was previously unseen (subject) and make it visible (object) is what Beth offers to clients who want to step onto a larger platform of awareness. The term for this experience known as the “subject-object shift” is the mechanism by which clients increase and expand perspective. George, a bright and thoughtful leader, in a fortune 50 financial institution was eager to explore the edges of his thinking. He was part of a team coaching group and wanted to get more out of the nine month engagement than the usual behavioral skill-building he’d experienced in past leadership programs. George saw himself as an independent thinker, not easily influenced by outside forces or circumstances. Early on he was introduced to the concepts of thought habits and complexity of mind and encouraged to pay attention to the way he made sense of his world. He brought these observations to individual, peer and group coaching sessions. George was surprised to discover a number of unquestioned assumptions and beliefs that had been running in the background of his mind. That he wasn’t nearly the original thinker he had considered himself to be, was an “ah ha moment” for George. These questions caused the group to stop in their (thought) tracks and everyone was quiet for awhile, seriously rethinking their assumptions about failure, and their contributions to this dynamic. George’s line of questioning was pushing not only his own but also his peers thought habits. This story of George and his peer leaders in team development is an illustration of the deep work that can ensue when leaders come together with the intention of self-exploration in service of leadership capacity development (Test Assumptions, Witness Self and Others Simultaneously). Bill Pullen is President of BPA Coaching and Consulting and Program Director of the Leadership Coaching Program at Georgetown University. His work as a coach, consultant, teacher, and facilitator focuses on supporting senior leaders, leadership teams, and organizations in building leadership capacity and aligning leader behavior with organizational strategy and mission needs. He has worked with front line leaders to C-level executives and leadership teams in the US and around the world including countries such as China, Japan, Chile, India, U.A.E, Columbia, and the United Kingdom. He has delivered consulting, teaching, executive and team coaching in a wide range of organizations including; Raytheon, Booz Allen Hamilton, BAE Systems, Fitch Ratings, Verisign, Pfizer, Volvo, Navy Federal Credit Union, Bloomberg, Kaiser Permanente, Iron Mountain, MGM, Marriott International, Volvo, Amtrak, US Postal Service, Executive Office of the President of the United States, Security and Exchange Commission, Department of Justice, Intelligence Agencies, National Industries for the Blind, Society of Human Resource Managers (SHRM), PBS, National Public Radio, American Red Cross, and Urban Land Institute. Bill believes that the complexity of leading in today’s 24/7, wired, global context requires that leaders step back from their conditioned ways of leading that may have worked well in the past and expand their ability to see a bigger, more complex picture, engage with stakeholders in new ways and develop new resources for resilience, flexibility and presence in order to effectively lead their organizations and communities forward. 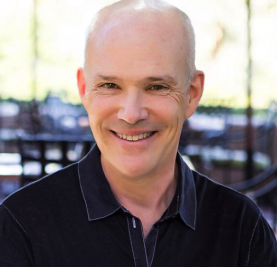 He is known for his straightforward, insightful approach to helping leaders and organizations navigate this complexity by identify habitual patterns of thinking and behavior that promote or detract from their effectiveness. Taking a systematic approach, he uses a cycle of assessment, challenge, and support to accelerate development, enhance performance and expand impact through the development of new ways of being, thinking and acting. His approach reinforces coaching and feedback, by creating a cycle of action and learning that leads to sustained, effective improvement in performance. Bill has a Masters in Organizational Development from Johns Hopkins University. He is a Master Certified Coach through the International Coach Federation. He has done advanced training in leadership, adult development, neuroscience, mindfulness meditation, and systems and team coaching. He is a graduate of The Coaches Training Institute. He has completed the Co-Active Space Leadership Program. He has a B.S Degree from Thomas Jefferson University in Philadelphia, Pa. He is certified to administer and provide feedback on the following assessment tools; Growth Edge Interview, Hogan Personality Inventory; Team Diagnostic Assessment, The Leadership Circle, Center for Creative Leadership – Benchmarks, Executive Dimensions. Carolyn has been an executive coach, facilitator, and leadership development specialist for nearly 15 years. Her journey began in the corporate world, where she was a management consultant first at Price Waterhouse and later at McKinsey and Company. As she spent more time working with clients, Carolyn became increasingly excited about the possibilities that lay beyond the numbers and strategies and more with the people who made up the organisations. Fourteen years into a career that had gradually morphed from numbers to people, Carolyn helped found the leadership development firm Kenning Associates LLP. Since then, Carolyn has had the privilege of working with executives and managers to help them become better leaders. She does this primarily by helping them to more clearly see and question their hidden mindsets and assumptions so that they can make intentional choices about how they want to lead. She also helps clients build the capacity to lead through more complex situations by supporting them on a developmental journey that includes both mind and body. 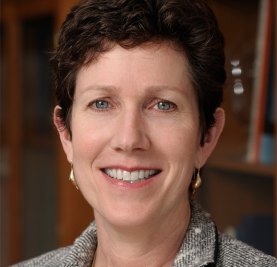 She has worked with a wide range of clients, including a leading US management consulting firm, the Bill and Melinda Gates Foundation, and corporate clients such as AllianceBernstein, Abbott Diabetes Care, and Autotrader.com, among others. Carolyn is one of the founding partners of Cultivating Leadership. Carolyn, whose childhood family vacations included not trips to Disney, but week long backpacking trips through the mountains of Wyoming, loves natural beauty and the outdoors second only to her family. She has lived and worked in Latin America, New Zealand, and the U.S. She earned an A.B. in Economics from Brown University, an M.B.A. with distinction from the Wharton School, and an M.A. in International Studies from the University of Pennsylvania and is a Certified Somatic Coach through the Strozzi Institute in Petaluma, CA. 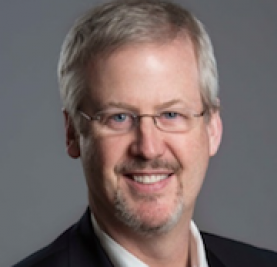 Fred brings to coaching more than two decades of experience working inside larger organizations and with extensive involvement in health care. This experience includes ongoing relationships with executives where he learned how they think and feel about what they do. He’s also led various teams providing services at scale that support business operations. As a leadership and organization developer, he holds a long-term interest in what it is like for people to face increasingly messy, complex challenges that take them beyond their prior experience. This is when growth edges are commonly exposed, and when fresh insight about one’s self can be most clearly opened up and translated into capability for current and future challenges. Fred’s coaching clients have included those who are facing the demand to deliver in the present while also creating the future, those who are stepping into cross-boundary roles with highly ambiguous authority, as well as those who want to shift the way they organize themselves so that they more fully function as executives. He finds that his clients usually understand that “how I show up” matters more than ever as they take on more responsibility and risk, and that the inner work behind the showing up is key to what others experience about them and how impactful they can be. Example: Fred partnered as a coach with an experienced executive with big profit-and-loss responsibility who moved across a business into unfamiliar territory and into a role that was designed to integrate innovation into the existing (and still-profitable) business model. He already was skillful. Now he needed to focus on how he saw himself, how he interpreted his new context, and the kind impact he could make with very little authority. Example: Fred partnered with a leader who was comfortable delivering highly specialized and analytical expertise in a key corporate function, but who simultaneously was asked to take on a large and unusual role coordinating a business-critical enterprise project while still adjusting to leading his first real corporate team. With Fred’s help, he developed greater self-awareness while in high-stakes encounters with C-suite leaders in a way informed by a developmental map. This enabled him to establish his independent voice and be recognized as more than an expert, which resulted in him being considered for roles that he didn’t imagine were possible before. Example: Fred partnered with a client who, as an emerging executive, was responsible for integrating technology solutions into assigned areas of a large business. But she was not the kind of person others in the organization normally expected to encounter: young, female, non-European in background, and direct in style. In the coaching partnership, she discovered how confidently to draw on more of herself in difficult situations, listen better to stakeholders, and flex with situational demands. She found greater ease with herself, as a continually growing person who also commanded the respect of her internal clients. Fred worked in the United States at Humana, where he further refined his approach to executive coaching and develop programs. He also served at Texas Children’s Hospital, Progressive Insurance and Ernst & Young. He earned a doctorate in adult learning and leadership from Columbia University, Teachers College, and holds a master’s in public and international affairs from the University of Pittsburgh. 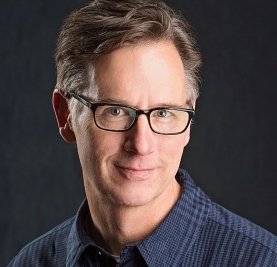 Fred is an Associate Certified Coach through the International Coach Federation, and a graduate of Georgetown University’s renowned Leadership Coaching program. A deep belief in potential for continuing growth is inherent in a developmental approach to coaching and leadership, for me it’s also an honouring of the whole, evolving self. Accepting that we also at times of stress of challenge may have a tendency to ‘fall back’ or become subject to our less developed, reactive habits and patterns (or at least I do!). If we can be curious and compassionate companions for others and ourselves we can unlock greater creativity and collaborative wisdom. I’ve found Developmental Coaching to be a collaborative and expansive process that consciously brings more of who we are into the coaching space in a compassionate and active inquiry that explores our meaning making. By inquiring about how we make sense of the world, sometimes at the edges of our current ways of seeing, this process can open fresh perspectives and new possibilities. This can liberate us towards more agility in how we approach and navigate the complexities of work and life. In weaving ideas of adult development into coaching and actively inquiring in a compassionate and non judging way that seeks to understand what’s central, hard, and important…we are shining a light on our way of seeing the world. By seeing more of what we may be subject to and also our growing edges this process can enable more space to notice, shift and transform what seems possible. By working in this way, especially during times where we experience uncertainty, stuck-ness or find ourselves searching for a new way of being; adult development frameworks offer us hope and way of understanding more about the structure of our meaning making systems. A developmental lens is present in my coaching and facilitation, sometimes implicit and other times explicit. I have found it can provide a useful perspective on how we approach leadership, collaboration and working with complexity in organisational systems. Developmental frameworks can also offer insight into our stages of development; and practical ideas around consolidation and growth based on our meaning making structure. I have enjoyed weaving elements of adult development into coaching and facilitation within a range of contexts (read more). Ingrid has completed a Master of Human Resource Management & Coaching Psychology at the University of Sydney. Ingrid also holds a Bachelor of Business in Marketing and Accounting (First Class Honours). Ingrid has been involved in various programs bringing complexity, adult development and mindfulness perspectives to leadership programs. Her collaborative research on developmental coaching has been presented at conferences and received an Honorary Mention at the Institute of Coaching, Harvard Medical School conference in 2012. See here the Developmental Coaching research poster. Ingrid completed the School for Social Entrepreneurs Action Learning training; and Mindfulness-Based Stress Reduction training with Dr Jon Kabat-Zinn from the Centre for Mindfulness. Ingrid has experience in a range of tools including: Hogan, Birkman, The Leadership Circle, Growth Edge and Subject-Object Interviewing; The Global Leadership Profile; the Leadership Maturity Framework and MBTI. In downtime, Ingrid can usually be found near the ocean; pursuing her interest in creative writing; or just hanging out with her young family. 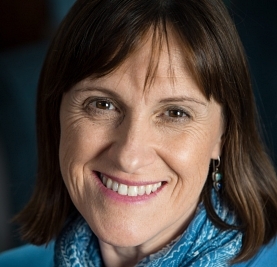 Jane is a leadership facilitator, coach and mindfulness teacher. She brings commitment and energy to her work, co-creating learning experiences to meet individual needs and aspirations while making critical connections to an organisation’s strategic vision and plan. 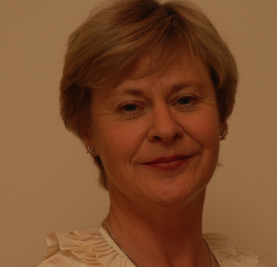 Jane has extensive experience gained in both the corporate and tertiary education sectors. Jane has a passion for adult development, complexity and systems theories and how they support individuals and teams to grow and manage ever more demanding workplaces. As a certified Growth Edge coach, she uses her Growth Edge training and experience to support the coachees development aims and objectives. Through the coaching process the coachees mindset and field of vision expands to see him/herself and others, in new and helpful ways. This growing self-awareness opens up the possibility of often small but significant change. This is a gentle and supported process made possible through practicing compassion for self and others. The inner voice of judgement and negative criticism becomes less dominant, stress decreases and a place of balance becomes the new default position. Coachees report that challenges continue to come but they are better able to manage the storms. 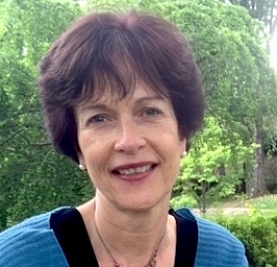 Jane attained her Bachelor of English Literature at Syracuse University in the United States and her Masters in Organisational Coaching at The University of Sydney. Jane is also accredited in the Learning Styles Inventory (LSI), The Leadership Circle (TLC) 360 feedback tools and the Hogan leadership self-assessment. 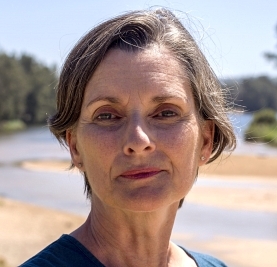 Jane is a member of the Mediation Association of Australia. 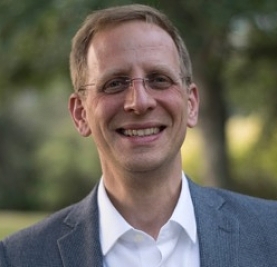 Jeff holds a BS Management & Psychology from the University of Pennsylvania, and an MS in Organization Development from American University/NTL Institute for Applied Behavioral Science. Jeff is certified in the use of a variety of assessment tools including: The Leadership Circle Profile & Culture Survey, the Growth Edge Interview Process, the MBTI and the Team Dialogue Indicator. Jeff lives in southeastern Massachusetts with his wife Lara and their three boys. He takes special pride in having passed along his lifelong passion for skiing to all three boys. Living just four blocks from the water (Buzzard’s Bay), he and Lara also indulge their summertime love of the water and sailing, though sailing is not quite fast enough to capture the boys’ interest as fully as skiing! Jennifer believes that the best organisations help make people bigger, more creative, more capable; organisations can and should be places where we live on our growing edge, expanding our own capabilities as we do good work. Leadership, then, is about creating the conditions for people to be their biggest selves. Almost no one knows how to do this intuitively; leadership is a discipline as much as accounting, law, or engineering. As Jennifer says in her first book, Changing on the job: Developing leaders for a complex world (Stanford Business Books 2012), if we want organisations where people are thriving and bringing their best, we need leaders who are learning. With her Cultivating Leadership colleagues, Jennifer designs and teaches long-term leadership programs that expand not only the way leaders work but also the way they think about the world. Jennifer and Keith Johnston wrote about their leadership development approach in their new book, Simple Habits for Complex Times: Powerful Practices for Leaders, which was published by Stanford Business books in 2015. Jennifer has worked with senior leaders in the private, non-profit and government sectors, in North America and Australasia (like KPMG, Microsoft, Lion, Wikimedia, the New Zealand Ministry of Health). Jennifer also supports leaders one-on-one as a leadership coach. Over the last decade, Jennifer has developed The Growth Edge Coaching approach. She supports clients to find their current growing edge and then make choices about how they want to grow to become better able to handle complexity, ambiguity and change. In addition to her coaching and leadership development work, Jennifer and Carolyn Coughlin certify coaches around the world in these transformational and developmental coaching approaches in their Growth Edge Coaching certification series. Jennifer speaks at leadership and coaching conferences, and she offers occasional courses for coaches at universities all over the world like Georgetown University, the University of Sydney, and Oxford Brookes University. Jennifer uses the Leadership Circle 360 and runs certification programs on the Leadership Circle in New Zealand. Jennifer has a BA in English from St. Mary’s College of Maryland, and a masters and a doctorate from Harvard University. Eschewing work/life balance for a life that feels like fun across the board, Jennifer loves to write, to throw a ball for her dogs on the beach, to fly kites with her kids, and to figure out how to make whole organizations work better. 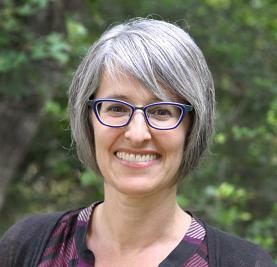 Formerly an associate professor at George Mason University, Jennifer learned about deep change in 2006 when she turned down the tenure offer and moved to a small seaside village in New Zealand with her husband, two kids, and the family dog. Jennifer loves that her life is a blend of watching the sun set over the Tasman sea and having conversations that make a difference for clients all around the world. Jim’s core area of interest is supporting people and organisations to grow and develop to create contexts where people can be the best that they can be. He is an experienced, leader, facilitator, coach and consultant. He has spent over 15 years in senior Operations, Organisational Development, Project and Sales leadership roles in the Finance and Health sectors as well as leading and advising on significant change projects. Leadership and governance roles have required a whole of organisation overview that integrates risk management processes and organisational systems development alongside achieving results. In addition to working in the finance and health sectors he also lead and developed the capability practice in a firm that specialised in organisation diagnostics and supporting organisations to take a systemic approach to change. His practical technical and leadership experience is complemented by a deep knowledge of adult development concepts, understanding of ideas and approaches relating to complex adaptive systems, ongoing formal education and a compassionate approach when working with people. Jim particularly enjoys using his skills and knowledge to help integrate leadership development with business improvement and complexity ideas – bringing people, processes, systems and technology together. 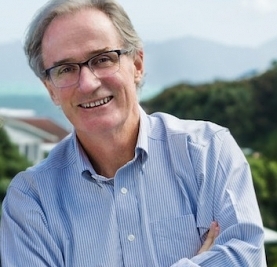 Previously, Jim was a board member of the New Zealand Business Excellence Foundation. As well as working with clients Jim plays a managing partner role in Cultivating Leadership and is a Trustee of the Growth Edge Network. He lives in Cork with his wife and when he isn’t working with clients can be found out on a bicycle or in the kitchen. Keith brings a rich mixture to his leadership development practice. 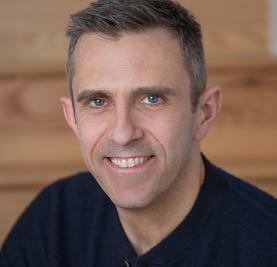 He works with his Cultivating Leadership partners to design and deliver leadership development programmes and support the strategic and organisational development work of senior management teams. He also coaches senior leaders. Through this he weaves his experience as a leader and his researches in the leadership field. Leadership development was the focus of the PhD he completed in 2008 at the management and business school of the Australian National University. Keith explored the capability for complexity required of senior leaders and how this might be enabled. The particular focus of his research was the thinking and self-awareness required of New Zealand environmental managers operating in complex contexts. There is a web of interests here linking Keith’s earlier Master of Arts from the University of Western Sydney, studying implications of complexity and chaos theories in the social sciences, and, much earlier, a Bachelor of Town Planning from the University of Auckland. 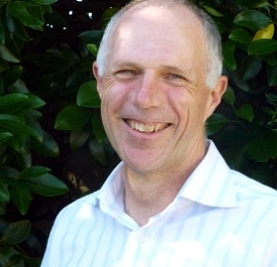 Keith served for fifteen years as a senior leader in New Zealand’s Department of Conservation in a range of roles, culminating in five years as the General Manager Conservation Policy, but also with responsibilities for strategy, organisational development, human resources, and public awareness. He was in charge of the Department’s responses to the Cave Creek tragedy including leading the complete restructuring of the Department in 1996 and 1997 and the introduction of quality management systems. Since 2007 Keith has been the Chair of the global board of trustees of the aid and development agency Oxfam International, the confederation of fifteen national Oxfams from around the world. He is leading the governance of the confederation as it transforms itself to increase its effectiveness and better equip it to grapple with the challenges of such issues as the global economic crisis and climate change. This adds to his rich experience of complex management and governance tasks. Keith brings a history of inquiry and leadership to his work with organisations and fellow leaders. He combines a powerful curiosity, a mind that constructs order out of chaos, deep compassion, a drive to make things better, and an abiding sense of fun. 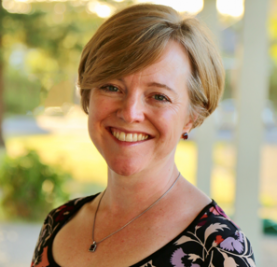 Kerrie is an executive coach and leadership development consultant working across the Asia Pacific region, with a base in Adelaide, Australia. She works with leaders at all levels to help them thrive, both personally and professionally, through supporting them to develop both consciousness and competencies linked to extraordinary leadership. Kerrie approaches her life and practice from a mindful sense of generosity and deep listening. She seeks to help ground a person in their own knowing, supporting them wherever they are at so they are able to learn and grow towards a more fully realised life. Kerrie uses Growth Edge Interviewing to support her clients in developing their ability to work with complexity. She facilitates individual and group coaching conversations, helping people develop an expanded view of what may be possible for them. She uses The Leadership Circle 360 ™ , The Leadership Culture Survey™ and The Leadership System ™ to work with individuals and teams to realise their full potential. Kerrie is a skillful facilitator, also assisting teams in strategic planning, culture change, and building adaptive leadership skills to work with complexity. She partners with colleagues to design and deliver leadership development programs and to support strategic and organisational development. She is constantly researching new and innovative approaches which she weaves into her leadership and organisational design work. She provides leaders with helpful frameworks and tools which they can apply to their work challenges. She brings her extensive background and knowledge to her work, gained from having the privilege of undertaking programs with Peter Senge and Bill Issacs, Sir John Whitmore and Donna Karlin, Bob Kegan and Lisa Lahey. She also brings skills in career transition counselling as an accredited coach with the Career Development Association of Australia. Kerrie’s clients include federal, state and local government agencies in Australia, and previously in New Zealand. She also has a long association with the university sector, providing leadership and developmental programs as a part of academic leadership and professional development streams. She provides coaching for professional services firms (Ernst Young and KPMG) as a part of their partner development programs and works with a wide range of private and not-for-profit organisations, with a particular focus on the development of person-centred capabilities in the disability and health sectors. 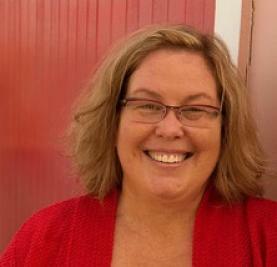 Kerrie serves on the board of a dynamic, person-centred not-for-profit organisation in the disability sector. She worked for over thirteen years in the IT industry, leading change programs and designing impactful leadership, and professional development programs. In her most recent corporate role, she was the Director of the Asia Pacific Education Centre for EDS, a large US IT services company. In this role she led the development strategy for over 10,000 employees across 12 countries in the Asia Pacific region. Kerrie enjoys travelling and learning about new places and cultures. She loves walking the beach near her home and is focused on a maintaining a healthy, balanced yet vibrant life. She has a Bachelor of Arts from Victoria University, Wellington and continues to study and develop her practice; applying new ways of thinking and emerging organisational models and practices to her work. Executive Leadership Coach and Consultant based in Washington, DC. Kris is a life-long learner including advanced study of adult development. He loves pushing the edges of the latest research and best practices supporting transformational learning. Kris works with individual leaders and teams across sectors including finance, healthcare, non-profits and government. He serves on the faculty for the Georgetown University’s Institute for Transformational Leadership, Leadership Coach Training Program. 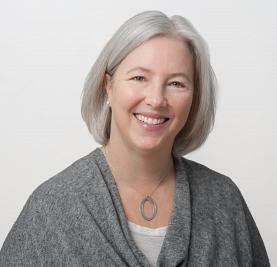 Kris is a Founding Partner of the Collective Leaders Project and the Washington Coaching Group. Certified in many assessments, one of his favorites is the Leadership Circle Profile and Leadership Culture Survey. Ask him why! Kris has over twenty years of experience as a global executive. Prior to ten years of coaching he led business development creating two companies in the satellite telecoms sector. Kris was valued for being innovative and bold, creating new standards that differentiated both companies in the market. Kris is an executive coach working with individuals and teams. He uses a developmental coaching approach that focuses on examining core identity (which includes self-perception and its impact on making meaning of opportunities and challenges). This model recognizes that issues of core identity are fluid whereas other coaching approaches view identity issues as relatively fixed. By examining underlying assumptions and tendencies that form identify and drive behavior, clients often discover beliefs and values that are self-limiting and hidden from view. These aspects can be particularly difficult for clients to recognize as limitations because they often brought success in the past, even though now they impede progress. Examining and reframing aspects of core identity often has positive impact in other areas of clients’ lives beyond the specific goals of the coaching engagement. Sometimes clients work with a developmental coach because they find that their emerging perspectives are in conflict with older ones. Other times, new demands in work and life require different responses than what worked in the past, and this feeling is very awkward and frustrating for the client. Sometimes they can’t see the new perspective they are being called on to hold. Common scenarios include job promotions and, more broadly, the growing demands and complexity of the 21st century workplace. Developmental coaching invites clients to see and examine their coaching goals and their lives through a new lens, or an evolved identity. In the client example below, we follow Stewart’s perspective shift from assuming it was important to work hard, fit in, and be a nice guy, to appreciating that it was equally important for him to take charge and lead, even when he feared that doing so might tarnish his reputation as a “good guy”. Stewart, an executive in an investment company, has an impressive background that includes an MBA from a top-20 U.S. business school, successful positions in prestigious financial firms in Boston and New York, and a successful seven-year start with his current firm. At age 40, he was under pressure from his firm and felt stuck in a middle management position, not knowing why he couldn’t make the jump to senior management. A 360-assessment (including internal and external feedback) revealed that he was a talented, productive employee with great industry-wide relationships; and there were also significant workplace challenges. Specifically, he needed to improve his leadership (delegating, taking tough positions, challenging others), communication (confidence, leadership presence, ability to “bottom-line” a story), and ability to manage complexity (moving to action with enough, but not all, of the answers). These challenges may have seemed daunting, but working to overcome them was relatively easy for Stewart once he had a better understanding of his core identity and how it could shift. The developmental coaching approach allowed him to look at these things though a new lens that reframed his self-perspective leading to an evolved identity. For example, before the coaching engagement, he invested significant energy in acting as he thought others expected him to. While this had made him successful earlier in his career, this approach was now limiting his ability to effectively lead and communicate, given his growing responsibilities and the complexity of his job. He was essentially working hard, but playing small, which was no longer serving him or the firm. The demands of his current position required him to make a shift from his old limiting way that was driven mostly by concern of what others thought of him. The new aspects of his identify placed greater value on his ideas and opinions. Through this shift he became comfortable being more visionary, making difficult calls, and charting the way for others at all levels in the firm. Fortunately, Stewart had the ability and drive to face these challenges. The developmental coaching approach allowed him to reflect upon how taking the lead and making tough decision might impact his reputation as a “good guy”. He began to see how assuming he could not lead and also be liked was self-limiting. In essence he saw he had one foot on the gas wanting to move forward as a leader in a bigger way, while the other foot was on the brake. Discovering that his good nature was part of his DNA, he shifted his energy from worrying about his reputation towards strengthening his voice and leadership vision even when doing so was different from his historical way of being with others. To his delight (and surprise), he found that instead of that negative feedback that he feared, he got positive responses from everyone, including from the partners of the firm. From the perspective of his evolving identity, he can now recognize, appreciate, and develop the firms’ goals by employing leadership and communication skills appropriate for the complexity of his work; something he was unable to do before. When the coaching engagement ended, Stewart was re-energized and moving towards a promotion. He felt back on top of his game, now a more expansive game. This showed up not only in his work life but also in his personal life. Stewart was reaping the fruits of a bigger, freer self- perspective now that he was able to let go of limiting core identity beliefs that were holding him back. Many, but not all, people have potential to discover and evolve towards bigger versions of themselves. The developmental coaching approach helps unleash this potential. Kris also uses a developmental coaching approach in working with high-potential groups and teams. A combination of 360-assessments, coaching (individual and team), and peer partnerships help these client groups move beyond self-limiting assumptions that are holding back personal and organizational development. Collectively clients discover larger perspectives that improve collaboration, systems perspective, innovation, and performance. Team members grow more comfortable being vulnerable together which builds trust, and they engage each other as accountability partners in support of individual and team growth objectives. Linda has spent the last dozen-plus years focused on executive coaching and leadership development. She currently is an internal leadership coach at Google, where she has worked with hundreds of Google Directors and VPs to help them discover more enjoyable, empowering and effective ways of thinking, being, and doing. Prior to becoming an executive coach, Linda worked in consulting, went to law school, and then transitioned to HR where her last role was as the head of Human Resources for a firm founded by Nobel Laureate Bill Sharpe. Most recently before joining Google she was a partner at a coaching and leadership development firm, where she had the privilege of working with leaders in a wide range of organizations, including the Hewlett and Packard Foundations, McKinsey, Bain & Company, Davis Polk & Wardwell, the Natural Resources Defense Council, Apple and Google. The thread through all of her work has been her belief that people don’t need to choose between being successful and being happy; that in fact, people do their best work when they are thriving, and we need all the joy we can get to tackle the serious challenges facing our world. She works with people to identify and examine the beliefs and assumptions which are constraining them, and to develop a freer and easier way of approaching their leadership and life, so that they can bring their fullest selves to their work and the world. Linda has a B.A. in Quantitative Economics from UC Berkeley, a J.D. from Stanford Law School, and has coaching certifications through the Coaches Training Institute, Minds at Work, and Growth Edge Coaching. She lives in the California redwoods with her family and menagerie (the animals are gaining on the people), and thinks living among the redwoods is still worth the drive. Mary Beth believes that leaders and their teams are doing the best they can and are hungry for ways to increase their individual and collective impact. She is dedicated to supporting leaders to see and grow their bigger selves by becoming more self-aware and more comfortable with uncertainty and complexity in order to achieve results that are uncommon and transformational. This is where she has found, both for herself and for her clients, that Growth Edge Coaching is a welcome and useful ally. Mary Beth brings a fierce compassion to her work with leaders, weaving her own 30-year experience as a senior executive in a global consumer products company together with her focus over the past six years as a leadership coach, facilitator, and consultant. The theories of adult development came into sharper focus for Mary Beth in 2012, while working with her own coach. The insights and sense of personal freedom and choice she gained from this experience were so powerful that she set an intention to pay it forward to other leaders. She trained as a Growth Edge Coach and has been incorporating these ideas and practices into her work with clients ever since. Mary Beth holds a BS in Spanish from Georgetown University, an MBA from Thunderbird School of Global Management, and an MS in Organisation Development from American University. She trained as a coach with The Coaches Training Institute (CTI), and in organisational relationship systems coaching with CRR Global. She is the immediate past president of her ICF Chapter in New Zealand. 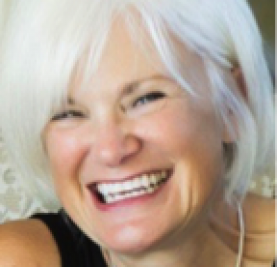 Mary Beth is a certified Dare to Lead™ facilitator in the work of Dr. Brené Brown. She is an associate with Cultivating Leadership. Mary Beth is married with three children. New Zealand is home and a great launchpad to the world. Having guided leadership and strategy in corporate and nonprofit environments for 25 years, Mo recognizes true leadership as more than a blend of technical ability, organizational savvy, and interpersonal skill. Mo works with high performing leaders as they look inward to define personal goals and values, look outward to navigate environments and relationships, and move forward to produce tangible results with confidence. Mo’s clientele is drawn from government, corporations, nonprofits, and institutions of higher education. Current and past clients include Department of Justice, Goldman Sachs, U.S. Navy, JP Morgan, National Education Associations, University of Maryland Medical Systems, Brookings Institution Metropolitan Policy Program, Fannie Mae Foundation, Las Vegas Chamber of Commerce, Johns Hopkins Bloomberg School of Public Health, Johns Hopkins Bioethics Institute, Association of Women’s Heart Programs, Wolters Kluwer, World Wildlife Fund, and the Sundance Institute. Earlier in her career, Mo managed clients at Kemper Sports Marketing where she developed and implemented consumer oriented promotional plans for clients such as Kraft General Foods. Mo has also served as Executive Director of Alumni Relations for Johns Hopkins University, where she successfully directed a transition of the organization’s financial model and transformed engagement strategies for all of the university’s 175,000 graduates worldwide. A seasoned athlete, Mo has been a competitive biathlete and triathlete and co-captained an undefeated varsity boat when rowing for Princeton. She has lived in London and has travelled extensively in Europe and Southeast Asia. Mo received a BA from Princeton University and earned a Masters in Management from the J.L. Kellogg Graduate School of Management at Northwestern University. A graduate of the Georgetown University Leadership Coach Training Program, she has earned her professional designation (ACC) through the International Coaches Federation. In addition, she is a Certified Presence-Based® Coach and holds certifications for assessment tools including The Hogan Assessments and The Leadership Circle®. The work of transforming a leader, or team of leaders, is a powerful lever for creating meaningful results within organizations. Megan works with leaders and leadership teams to build capabilities needed to help them align around and drive strategic results. When a leader is able to step beyond the current mindset and ways of leading, there is unlimited opportunity. Megan brings more than 20 years of experience as a leadership coach and organization development consultant. She has a passion for helping leaders and teams generate meaningful results for themselves and others. 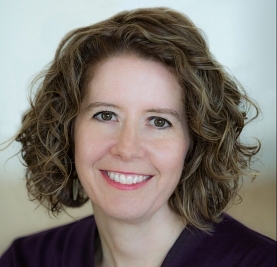 Megan’s experience in team assessment, development and coaching, leadership assessment and development, and organizational change work spans industries and leverages the latest research, concepts, tools and technologies. 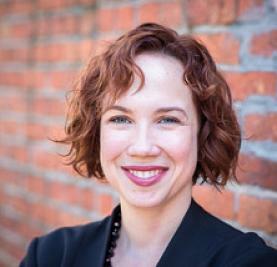 Prior to founding Capacity Group and working externally, Megan spent years inside large organizations building and leading teams that were focused on designing organizational change strategies; fostering leadership development; aligning organizational systems; and consulting with executives to achieve strategic objectives. Her own executive experience gives her a depth of perspective on the way Capacity Group designs client engagements. Coaching newly appointed President of the US division of a large global organization focusing on leadership communication, and developing the strategic capacity of his team. Coaching newly appointed GM from a functional leadership role to elevate leadership, develop executive presence, and develop top talent. Coaching/development for a senior leader moving into an enterprise role responsible for credit and risk management in a large energy company. Focus included expanding leadership to broader organizational needs, stakeholder management, presence and building organizational capacity. Coaching an enterprise leadership team through its formation, establishing a vision, aligning on goals to ensure key results and optimizing team decisions. Designing and leading a six-month cohort program for a client organization facing large complex change. The program, now on its fourth cohort, guides leaders to develop create greater agility and resilience while strengthening change leadership skills to envision change, engage others, lead change through alignment and execution. Megan received her MS in Applied Behavioral Science from Johns Hopkins University and her certificate in leadership coaching from Georgetown University. She is on the faculty at Georgetown University and is PCC certified coach. Megan is certified in multiple personality and leadership assessment instruments including the Leadership Circle, Hogan Suite, LVI and more. She is on the board of Ready At Five, a non-profit dedicated to raising the school readiness and success of children in Maryland. Read Meg’s Growth Edge Coaching Essay here. Whether he is coaching a senior executive or supporting an executive leadership team, Michael works with his clients to find the unexpected route to becoming more effective and more deeply engaged. Through clear and gently held observations and questions, Michael enables his clients to honestly reflect on their beliefs, assumptions, and actions. His commitment is to helping them uncover the ways to be better today and tomorrow than they were yesterday. For the past eight years, Michael has been working at the executive and C-suite levels of both public and private sector organisations in New Zealand. Prior to that, his work was based in Washington DC, working with businesses across a range of industries, mostly in New York City and in the DC area. Some of his sexiest clients included Viacom, Citigroup, ABC Television, Discovery Communications, HBO, Johnson & Johnson, and Ogilvy Mather. Michael earned a certificate in Executive Coaching from Georgetown University in 2003 and has been coaching teams and senior leaders ever since. He is a Growth Edge certified coach, uses a wide variety of assessment tools (the Leadership Circle 360, the Hogan, the MBTI, etc.) to fit the needs of the client. Michael has a Masters degree in Organisation Development and a Bachelor of Arts in English. When he’s not working somewhere in the world, he gets to keep living the good life in Wellington, New Zealand with his family and awesome dogs. Shannon Polly was one of the first 100 people in the world to receive her Master of Applied Positive Psychology (MAPP) degree from the University of Pennsylvania. 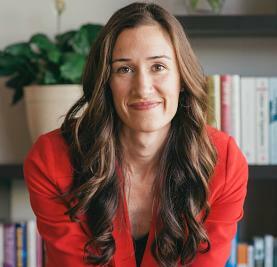 She is a leadership coach, facilitator, speaker and founder of Shannon Polly + Associates. Shannon has spent the last decade translating her Yale acting training into designing training and coaching that engages employees and helps them leverage their strengths for higher performance. She is a past board member of the Metro DC International Coach Federation. She is also passionate about bringing the science of resilience to help mitigate the stress of our busy lives. Shannon was chosen to be a part of the groundbreaking facilitation team for the U.S. Army’s Master Resiliency Training. She has trained over 1,000 Army sergeants in psychological resilience at Army bases all over the country. She leverages the science of positive psychology, performance psychology and adult development to help her clients realize their potential. Shannon is the co-editor of the book Character Strengths Matter: How to Live a Full Life. All profits from the book go to support a scholarship at the University of Pennsylvania. She is an honors graduate of Yale College and a coaching graduate from Georgetown University. Growth Edge Coaching—in which the coach is explicitly curious about and takes into account the client’s developmental stage—combined with performance and positive psychology is the way that I connect with and guide my clients. I use one practice—Acting ‘As If’ combined with developmental coaching—because it helps people try on new behaviors in a somatic way that builds self-efficacy, create new meaning making systems, and helps them imagine a positive future. Acting ‘As If’ is a behavioral intervention that helps people try on different ways of behaving, and by doing so, update their mental pictures of themselves. While this approach can be traced back to acting teachers, especially Konstantin Stanislavski, many psychologists have recognized the benefits of exploring new roles to aid development, including Alfred Adler. With imagination and coaching, people can act ‘As If’ they already were the way they want to be. According to Harold Mosak’s explanation of Adlerian psychotherapy: “The rationale for this reconstruction strategy is that as someone begins to act differently and to feel differently, they become a different person.” Acting ‘As If’ gives people opportunities to enact best possible outcomes or to create new stories about their lives. Asking people to pretend can help them get past resistance to change because it is temporary and merely an experiment. Observing themselves behaving in new ways, they update their mental models about what they can do. Lev Vygotsky writes: “In play it is as though [the child] were a head taller than himself. As in the focus of a magnifying glass, play contains all developmental tendencies in a condensed form and is itself a major source of development.” Humans do not grow too old to benefit from play. The role playing was extremely uncomfortable. The first one …was like being fake. … You have got to become somebody else in that scenario. One of the key things I got from it is…you can show up as who you need to be, but still be yourself. And it makes no sense. But you can still have your strengths, your empathy, your personality can still come through regardless of who you need to be in that scenario. For my clients who are in a developmental transition, this process of Acting ‘As If’ can help jumpstart that change. I have seen clients take on new roles and redefine themselves through this process. Coupled with developmental questions, they can find their way to a new way of viewing the world. The challenge is how to sustain the developmental change. Part of the work is looking at the system in which the client finds him/herself. Are there others that can support that change? A few times I thought I was going to block [involuntary pause] but I didn’t. …when I came in that morning, …. I felt horrible.… the group gave me the support that meant that I didn’t have to be so nervous. I didn’t have to think about stammering. I stammer less when someone knows I have a stammer. They won’t think it’s me being rude, they will understand and take the time to listen. Now I’ll start from, ‘yes’ or, ‘why not?’ rather than ‘why?’ I have more of a positive outlook. I can help other people. I got to where I am because of me. And the work I do. And I shouldn’t undervalue that. If I can help others, then I should. Nathan came to understand that Acting ‘As If’ and living into a higher developmental stage did not mean that he was being inauthentic. He had a dramatic shift in mindset that enriched his performance and attitude at work. He also moved from, I believe, a socialized/self-authored transition to a more solid self-authored state when he saw himself as a powerful speaker, a mentor and leader of others and had his colleagues who supported and reflected that. Growth Edge coaching is not aiming for the ‘right answer’ but more curiosity as to how a client makes meaning. Acting ‘As If’ helps explore those edges of meaning making and makes it real in space and time. What would someone from a later stage of development do in a certain situation? It merits further discussion, thought and experimentation. I am happy to say my clients are willing to go with me on the ride. Sheila Buechler is in the business of change. She specializes in coaching senior leaders and top teams to lead effectively in complexity and ambiguity, expose patterns, assumptions and blind spots, and reach beyond habits to access the full range of leadership possibilities. Sheila also designs and facilitates leadership development programs to unlock leadership effectiveness, optimize team dynamics, and maximize strategic impact. Sheila brings over 25 years of experience including management consulting with top tier firms including Bain and Company, an MBA from Harvard Business School, and entrepreneurial experience as a start-up co-founder. She has partnered with a wide variety of Fortune 1,000 companies in industries including technology, healthcare, oil and gas, and financial services. As founder and principal of Vista Leadership, Tracy brings over 30 years experience as a consultant, leadership coach, and organizational development practitioner. She began her career as an experiential educator, creating break-through learning experiences for at-risk youth. In 1989, she joined Pecos River Learning Centers and began utilizing her expertise to create high impact, transformational experiences in the corporate sector. After 15 years coaching and consulting, Tracy joined the Customer Experience Department at Kaiser Permanente, where she led project teams in their efforts to improve service and build customer loyalty. She designed and delivered service curricula, coached leaders and staff, provided expertise on building employee engagement, and led strategic projects requiring a strong foundation in the integration of human and business systems. In 2015, Tracy founded Vista Leadership, an executive coaching and leadership development practice. She uses her deep and diverse background to support change efforts at all levels, working with individuals, teams, and organizations in a variety of industries, including manufacturing, financial services, and healthcare. Tracy’s deepest passion is helping leaders and teams focus their energy to create more meaningful impact. Leaders who have worked with Tracy describe her as authentic, clear, intuitive, and committed. She is known for nudging people outside of their comfort zone to experience profound levels of self-awareness, growth, and personal reward. Tracy has a bachelor’s degree in history from Yale University and a master’s degree in clinical social work from Smith College School for Social Work. She holds certifications in Co-Active Coaching; the Leadership Circle Profile; the Leadership System; and Growth Edge Interviewing and Coaching. She also holds the PCC through the International Coach Federation. I purposely chose the name Vista Leadership because I believe “it’s all about the view.” Whether it’s taking a step back to get the bigger picture; stepping aside to get a different perspective; or choosing to explore someone else’s point of view, development work is all about what we see. What patterns do we see in our own behavior or the world around us? What perspective do others hold about this issue? Can we actually teach ourselves not only to see the world around us but also to examine the way in which we see the world? To actually get perspective on our perspective? For me, great coaching is about helping people see things differently so they might do things differently. In order to do this, I take an inside out approach adhering to the belief that to truly develop one’s leadership effectiveness, leaders must not only develop their competence or skill but also grow their level of consciousness. I have a strong foundation in adult development theory, using the framework to guide my understanding of where someone is developmentally and how to support them on their chosen journey. Wendy believes passionately in the potential of everyone to grow and flourish. She also believes strongly that, as our world and our place in it become increasingly more precarious and complex, we, as humans, cannot afford to waste a single bit of that potential. More than ever in our history, we need everyoneto be and to keep growing into their best, biggest selves. And we need leaders who bring not only the best of themselves but who create the conditions for others to do so as well. For her, this is what Growth Edge coaching is all about…helping individual leaders and their teams to develop the complexity of mind that will enable them—and that will enable all of us—to thrive in our increasingly complex world. She first encountered the ideas of adult development more than a decade ago as a consultant at McKinsey & Company. 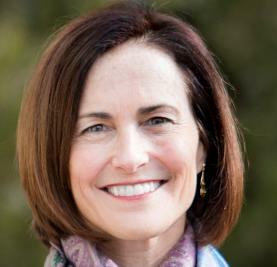 Having moved into leadership development at McKinsey, she was finally able to put names, faces, and practices to those ideas when she met Jennifer Garvey Berger and Carolyn Coughlin. Thus, began a partnership that has spanned many different programs, several firms, many years, and a great deal of personal learning. Today, as a partner at Cultivating Leadership, Wendy serves a range of clients around the world from non-profits to commercial banking, from small startups to tech giants. Her work is as wide-ranging as her clients, encompassing individual coaching, team-based interventions, leadership programs and keynotes to larger audiences, but always working at that critical intersection of complexity and adult development, helping her clients to grow into and thrive as their biggest selves. Wendy has PhD in inorganic chemistry from the California Institute of Technology. She is a periodic guest lecturer at the Berkeley Haas School of Business and a certified MBTI, LVI and Leadership Circle practitioner. When not following the nomadic lifestyle of a leadership development practitioner, Wendy has the good fortune to live in northern California wine country. Her passions outside of people development include cooking elaborate meals for friends, baseball, games of all kinds, and wine. 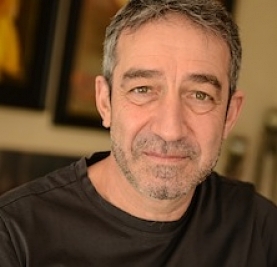 Zafer is a leadership coach and a designer and facilitator of leadership development interventions. Zafer helps individual executives expand their leadership repertoire while delivering on their performance objectives, and he helps leadership teams raise their game by collaborating more effectively. Zafer is a graduate of HEC (Paris) and MIT’s Sloan School of Management. He is a certified Leadership Circle coach. Zafer is also a graduate of the prestigious Director Education Program of the Canadian Institute of Corporate Directors (ICD). He has co-founded the Montreal Chapter of the ICD, and has served on the national board of the ICD for 3 years. Zafer also sat on the Board of Governors of the Board Director Institute (BDI), a GCC-based institution that promotes better governance through Director training. He lives in Dubai and serves clients globally. He collaborates with Cultivating Leadership frequently. I am intrigued by the question of how developmental ideas play out in the field of organizational leadership development and organizational change. This is a question that is attracting considerable attention nowadays: In the last week alone, I have been part of discussions about Kegan and Leahy’s concept of Deliberately Developmental Organizations; Laloux’ Teal organizations; PWC’s research on Strategists and Wicked problems. The issue that I find nagging at me in all such discussions hovers around a hidden paradox: When the developmental agenda is taken over and managed at an organizational level, does it fossilize into another form of socialized meaning making system where development becomes an espoused worldview rather than a dynamic, living process? And isn’t that self-defeating? And if so, can we think of antidotes – of interventions that keep the people within the system on their growth edge and thus provide the capacity for adaptation and reinvention? There are reasons to suspect that fossilization is a real risk. In his book In Over Our Heads, Kegan describes how traditional societies collectivize the self-authoring capacity on behalf of their members, allowing each individual to function effectively as a socialized being, while cultivating the adaptive capacity of the whole at an aggregate level. Kegan further observes that in such societies, the rare individuals who grow into their own self authored mind often feel estranged and opt to leave and strike out on their own. Bob Anderson – who developed the Leadership Circle Profile- makes a similar argument when he points out what he calls the Patriarchal Loop that derails change efforts aimed at shifting corporate cultures from Reactive (socialized) to Creative (self-authored): Soon after the change starts taking hold, top most leaders -who tend to be of an achieving / controlling bend- feel the need to institutionalize the gain and in so doing nip in the bud the empowerment energy that will have started emerging at the grass roots. stifled and choose to leave. This diagnostic notwithstanding, it would be dispiriting to conclude that all organizational efforts at embracing a developmental agenda are doomed. Instead, I prefer to wonder about possible antidotes to the fossilization dynamics. I would like to point to one promising line of inquiry by reviving and tweaking the concept of ‘positive deviancy’ first introduced by Sternin and Choo in 2000. In their HBR article, they focus on indigenous approaches to change management and say: ” Look for the positive deviants in your organization—those people who are exhibiting the desired levels of performance—and try to understand what’s different about their behavior. That’s where you’ll likely discover the keys to creating real change”. In our case here, we are not interested in performance and behavior per se. Instead, we are interested in intrinsic, self- propelled individual development. So, repurposing the concept of positive deviancy, I would offer the following hypothesis of an antidote: “As you embrace an organization-wide development agenda, look for the positive deviants – those people who are exhibiting genuine, idiosyncratic self-authoring capacity and beyond*, and nurture them into a force for adaptation”. Instead of leaving positive deviants to their own devices, letting them grow disenchanted and watching them leave, find ways of encouraging them and supporting them as they continue to stand out and challenge the norms that you are busy establishing. Look at them as your best antidote to fossilization, your best assets for a genuinely adaptive capacity. This calls for organization whose leadership development approach is ambidextrous – organizations who can simultaneously foster lateral growth towards a developmental worldview at scale and systematically, and at the same time work hard to cultivate deviancy in a segment of leaders who might be disruptive in the present but who hold the key to genuine, continuous organizational adaptation in the longer run. The design of such organizations seems to me to be a challenge worth exploring further.